GIRLFRIEND – A video of a girl putting a ring on a finger of her late boyfriend at his wake went viral on the social media. Undeniably, not all love stories end to two people growing old together. There are instances wherein one might go ahead to another life early leaving the other. Meanwhile, true love cannot be stopped even by death. Recently, a video showing what true love is crossed the social media and brought inspiration to countless hearts. It was posted by a certain netizen behind the Facebook username “Rhon Amarilla Morallos”. In the viral video, it could be seen that a girlfriend was putting a ring on a finger of her late boyfriend. The touching moment happened at his wake. Based on the caption of the post, they were celebrating their monthsary during that time. The netizen stressed that the girl really proved how much she loves her boyfriend although he is already in another life. Aside from the video, several photos taken during the touching moment were posted. 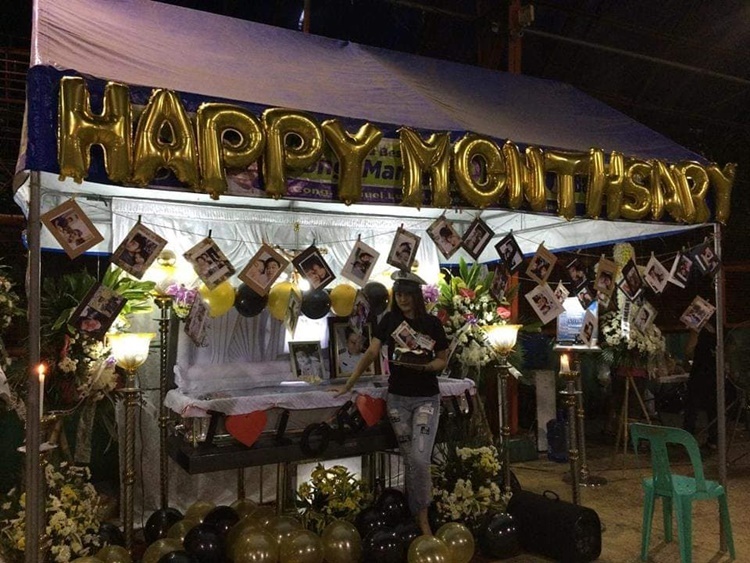 It could be seen in the post that they really prepared a lot for the wake of the late boyfriend. There are printed pictures of him together with his loved ones. The post went viral on social media. As of this writing, it has already reached more than 40 thousand shares on Facebook. A lot of netizens also commented to it.